(Macon, IL) Midwest Big Ten Series officials have announced the 2018 schedules for all three divisions of racing. This year, drivers, teams, and fans will see many of the same popular Illinois venues along with the addition of one more. The Midwest Big Ten Series was created in 2013 to give Super Late Model teams a schedule of ten solid regional races with a point fund waiting at the end. Street Stocks were added in 2014, while Pro Late Models came the following year. All three classes saw talented drivers put on great races in 2017. The premier class of the Midwest Big Ten Series, the Super Late Models, will see ten events at six tracks in 2018. The familiar stops of Macon, Jacksonville, Lincoln, Highland, and Belle-Clair are back from a season ago. New this year, are two stops at Spoon River Speedway in Canton, IL. Steve Sheppard, Jr., Ryan Little, Brian Diveley, have been champions in the series, as well as Greg Kimmons and Michael Kloos, who shared the championship this past season. The series will open up with on Friday, April 13 at Belle-Clair Speedway in Belleville, Illinois. In 2015, the Pro Late Models were thrown into the Midwest Big Ten Series mix to give those drivers a chance at some more lucrative races. This year’s schedule again features ten races at Central Illinois facilities in Lincoln, Macon, and Jacksonville. Guy Taylor won the championship in 2015, while his brother, Matt, took top honors in 2016. Springfield, IL drivers continued their success in the class with Jake Little winning this past season. For the Pro Lates, it all begins on Friday, April 27 at Lincoln Speedway. Rounding out the slate will be the ten race schedule for the Street Stocks. This year’s tour stops are similar to last season, with Macon, Lincoln, and Jacksonville, plus the one-off Christian County Fair stop in Taylorville, IL. Decatur, IL driver, Terry Reed, won the first two championships, while Lovington, IL’s Jeremy Nichols grabbed the championships the last two years. 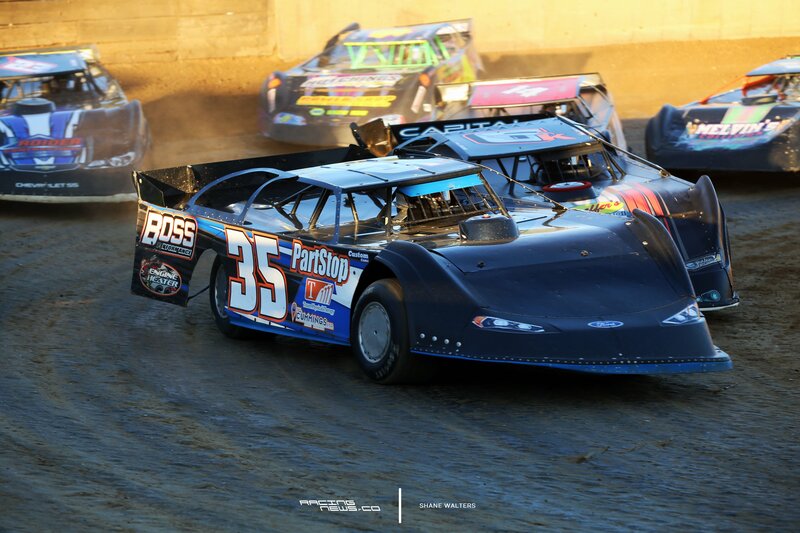 The Street Stocks open up on Saturday, April 21 at Macon Speedway. A $4,000 point fund will be distributed to the Super Late Models at the end of the season, while $3,000 point funds will be handed out to Pro Late Models and Street Stocks. The drivers final points are totaled, using their best eight events from the season, allowing two drops. This year, the top ten drivers in each class will be eligible for the point money, as long as they compete in at least 75% of the completed events. The Midwest Big Ten Series is made up of 10 races each for UMP Super Late Models, UMP Pro Late Models, and UMP Street Stocks, throughout the state of Illinois. Drivers in each class collect points for a season ending point fund. For more info on the Midwest Big Ten Series, visit www.maconracing.com/midwest-big-ten-series-history/ and like the Facebook page at www.facebook.com/MidwestBigTenSeries. For additional information on one of the three series, feel free to call the Track Enterprise office at 217-764-3200.